A PLUS AVIONICS FAA certified repair station (CRS No. 5AXR435B) performs and manages avionics repair and overhaul of a wide range of aircraft navigation and communication systems and instruments while maintaining highest level of quality and strict adherence to the manufacturer’s standards. We provide support to the corporate and commercial aviation industry. Our highly trained and experienced technicians equipped with state-of-the-art factory approved avionics test equipment stand ready to efficiently repair and overhaul your avionics equipment and components with fastest turnaround and most affordable pricing, rest assure that they can handle all your avionics repair requirements. A PLUS AVIONICS has firm training procedures for all of our Avionics Technicians to guarantee your fulfillment. They often attends factory training to update themselves with today’s technologies. Our avionics technicians can repair, overhaul, and troubleshoot your aircraft’s avionics parts, components, and systems from recertification to installation. A PLUS AVIONICS’ Repair Station in Los Angeles, California is fully equipped with the latest avionics test equipment, and staffed by FAR Part 145-certified technicians. 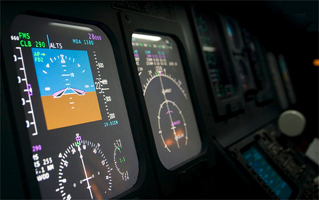 We specialize in providing cost effective solutions for all your avionics requirements. We maintain complete and up-to-date FAA compliant repair station manuals, as well as all current service bulletins for the avionics components and aircraft we service. We offer extremely fast turnaround and surprisingly affordable pricing while maintaining stringent quality control and adherence to manufacturer’s standards. A PLUS AVIONICS repair and overhaul capabilities will considerably lessen your aircraft down-time. Our facility has modern avionics test equipment for aircraft avionics systems.